There are a few things I want to point out in this outfit! One, is this white v-neck tee I picked up earlier this year. It’s been one of my favorite budget-friendly basics! It’s a $15 steal from Nordstrom that comes in a bunch of really great colors. Naturally, I got it in classic white for the most versatility. It’s a really comfy cotton tee – highly recommend! I’m wearing a small. 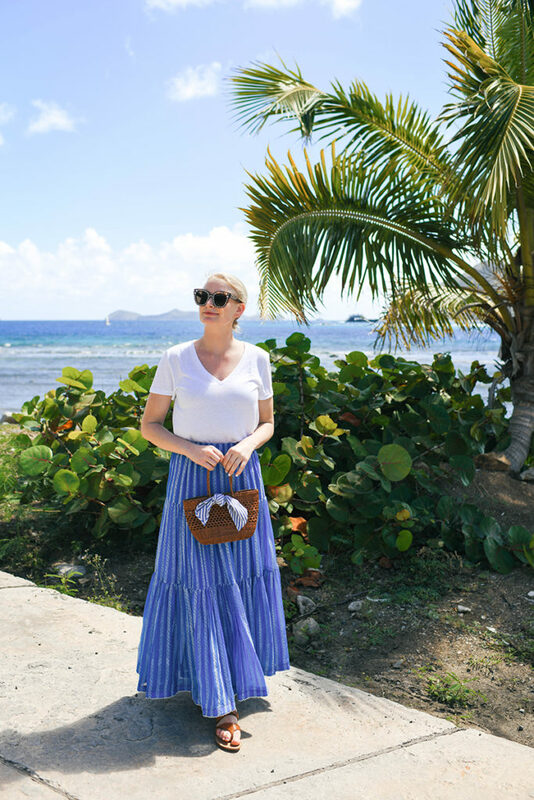 The skirt is actually one I borrowed from my mom – it’s Tory Burch and so fabulous! 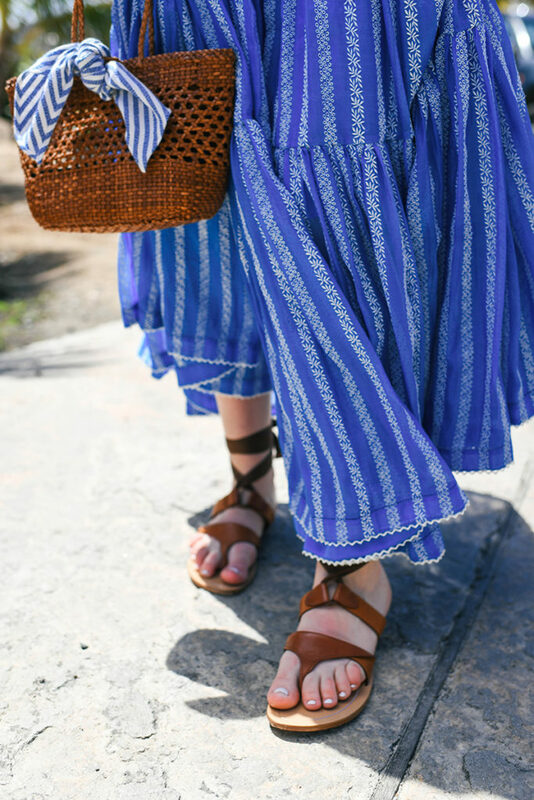 The embroidery is gorgeous and the skirt flows in a way that makes you look like you’re gliding across the floor whenever you walk. It also comes with a matching top if you want to do a head-to-toe look! 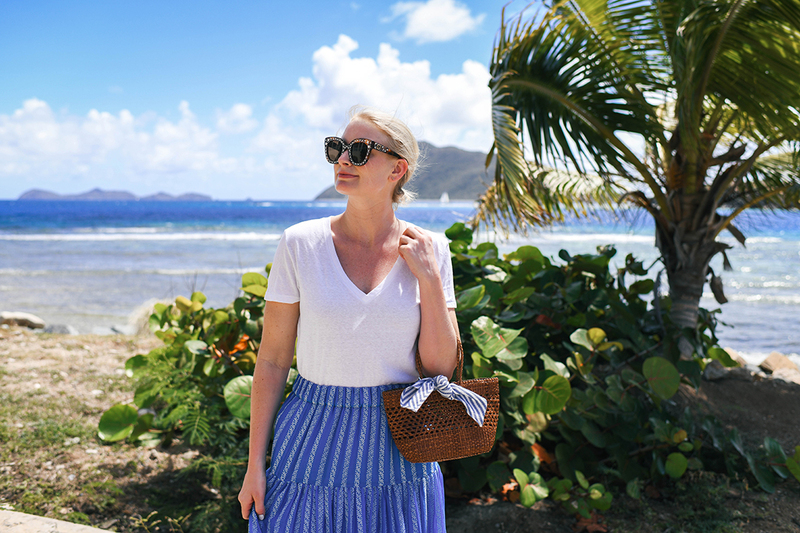 I went super casual here with a tee, but you could also style it with a more elegant white blouse or one-shoulder top for a party this summer! 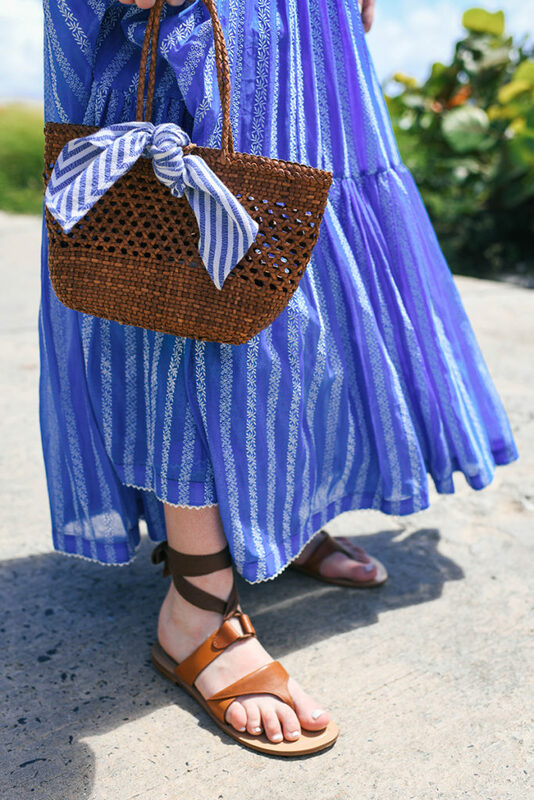 Finally, these are the Sarah Flint Grear sandals I received earlier this year – they’re a favorite of Meghan Markle’s! She’s worn these more than once, but most recently sported them on the Royal Tour in October. They are so comfortable and look so luxe – the color is beautiful and a great transitional neutral! 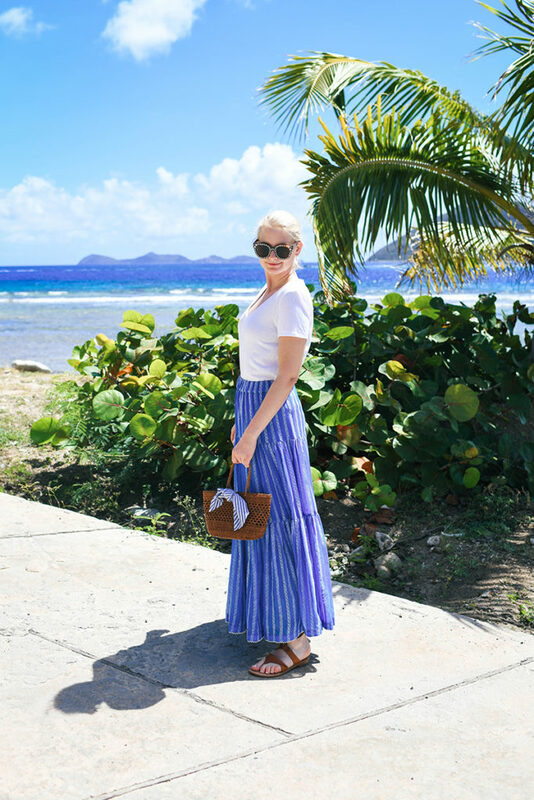 That maxi skirt screams vacation outfit! So cute!